Health Costs > How Much Does a Balloon Sinuplasty Cost? A balloon sinuplasty, also referred to as a balloon catheter dilation surgery, is a procedure designed to clear out any blockage inside the sinuses. Approved by the Food and Drug Administration in 2005, doctors often call it the “smart sinus” procedure. The cost of a balloon sinuplasty procedure, without any insurance, can cost anywhere from $4,000 to $13,500 from the research we conducted. These fees will greatly depend on the doctor you choose, where the surgery is performed and the geographical location. As the surgery can be performed in two places, either a hospital or outpatient setting, a hospital setting will almost always be more than an outpatient procedure. As mentioned by Healthline.com, some insurance carriers may not cover the procedure since it’s still deemed relatively new. As such, an insurance company may deem it either experimental or not medically necessary. So, even if you have health insurance, you may find the company won’t cover it. The procedure is reasonably straightforward, with no cutting or removal of the bones and/or tissue being required. Commonly conducted in a hospital or inside the office of an ear, nose, and throat (ENT) specialist, it can be performed either via local or general anesthesia, depending on your circumstances. During the procedure, the doctor will first insert a small flashlight at the tip of a line inside your sinus cavity to observe what they are doing during the procedure. Next, they will insert a narrow and adjustable balloon catheter into your sinuses, slowly inflating it to expand your sinus opening. Then, as the pus and mucus build up inside the cavity, the doctor will wash it out using a saline solution. Finally, the balloon will restructure the bones around your sinuses, leaving a widened passage clear of built-up pressure. The average time in a waiting room, according to a study, was 73 minutes. After the surgery, you will more than likely be prescribed an antibiotic to discourage an infection. This prescription is often an additional charge, but for the most part, it will cost less than $25, even without insurance. The fees mentioned above often don’t include follow-up appointments. 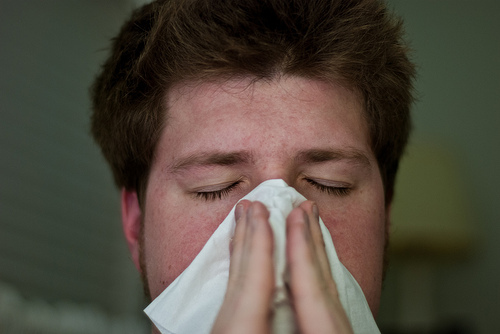 This procedure is often recommended for people who either suffer from chronic sinusitis after other alternative treatments have been deemed ineffective. After the procedure, most patients will be capable to return to daily activities almost immediately, but some people may find themselves taking it easy for the next one or two days due to the anesthesia after effects. Risks and complications may include intracranial complications, which is the connection between the nose and the brain. In some cases, albeit rare, brain fluid may leak into your nose. Other risks may include a change in structure, swelling or an infection that requires medical attention. The three major balloon sinuplasty companies, as per Dr. Nachlas, includes Acclarent, Entellus and Medtronic. Most surgeons will use two or more of the balloon options as there may be preferences based on clinical and anatomic issues. It has been said Medicare will cover a balloon sinuplasty in both an office or hospital setting. With more than 100 balloon sinuplasty patient reviews on RealSelf.com, 95 percent said it was worth it. The balloon sinuplasty success rate, according to DukeHealth, far exceeds 90 percent. As mentioned, a health insurance policy may or may not cover the procedure. Always talk with your provider ahead of time to know what will and what won’t be covered. It also doesn’t hurt to choose a doctor that’s inside the insurance company’s network if they were to cover the procedure. If you don’t have a health insurance policy or even want to switch, we recommend browsing through policies for free at eHealthInsurance.com. Even without health insurance, many medical providers will offer a cash discount if paid in full. Ask the billing office is any discounts are available. I believe I was grossly overcharged? Who do I contact to file a complaint? I was charged $700 for the initial consultation. This was for an in office balloon sinus procedure with no antiseptic or IV.